​Newest 2019 version above is what I'm shipping. 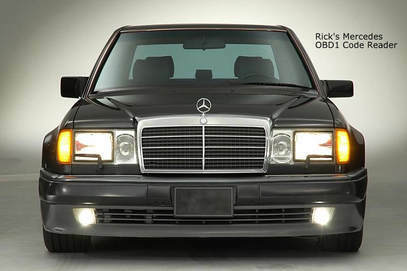 Models included are the W124 W201 300E 190E 320E 300TE 300CE and others. Master PDF code file for ALL 88-95 cars. Complete and organized! 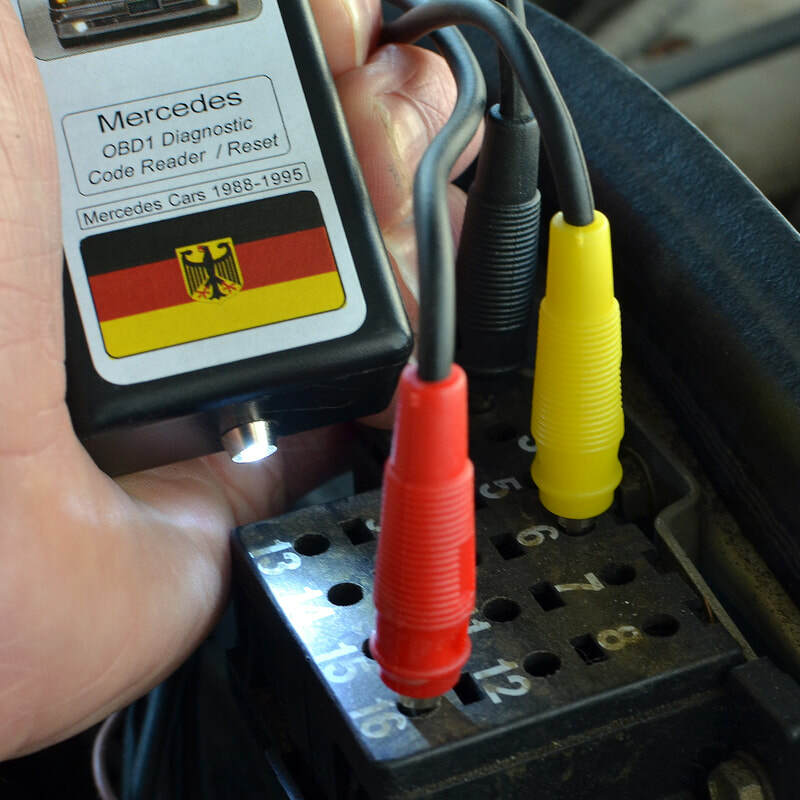 ​Read and Reset diagnostic fault codes on 1988-1995 Mercedes cars that have the larger 8 or 16 socket diagnostic ports. These ports accept the standard banana plug size. 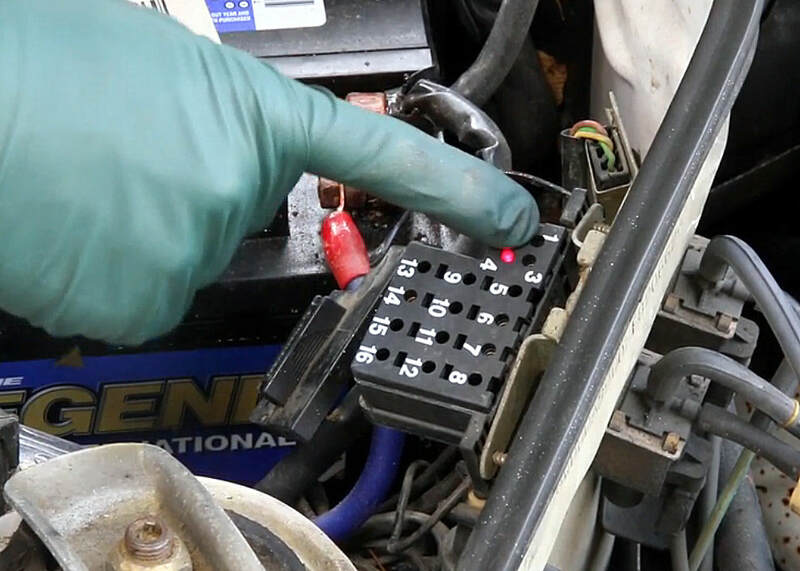 The diagnostic port is located near the battery and may have a plastic cap on it. It's simple.... Plug it in, push the button, count the light flashes, refer to the included paper overview sheets. Or for more detailed information look at the Master PDF file. 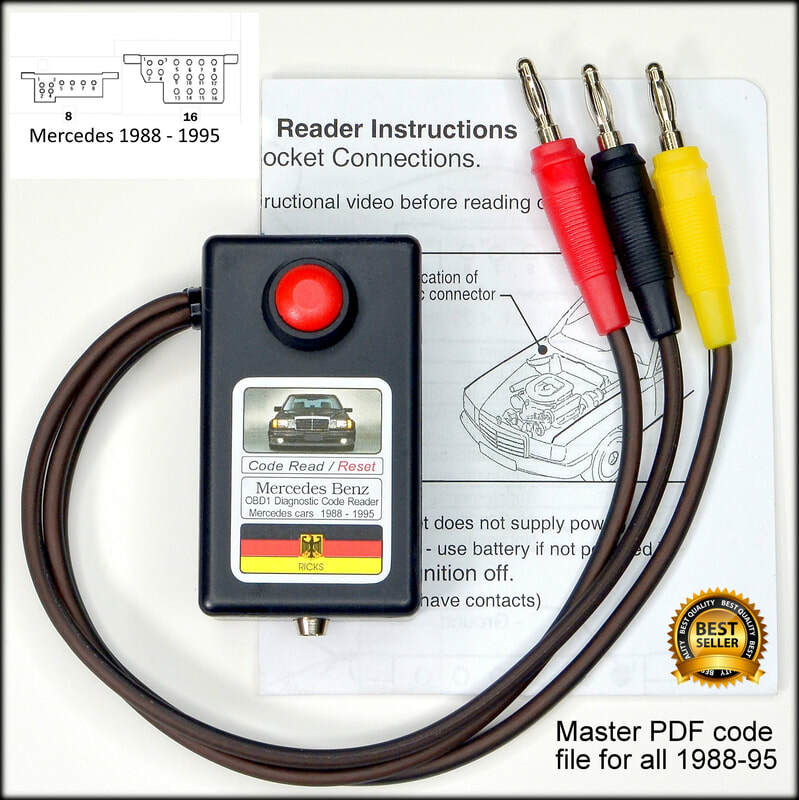 One thing to note... my PDF code file uses the original Mercedes colors Red, Black and Yellow for the connection sockets matching the OEM code file. Also it's a REAL PDF file with pages properly numbered matching the index and and best of all its searchable! 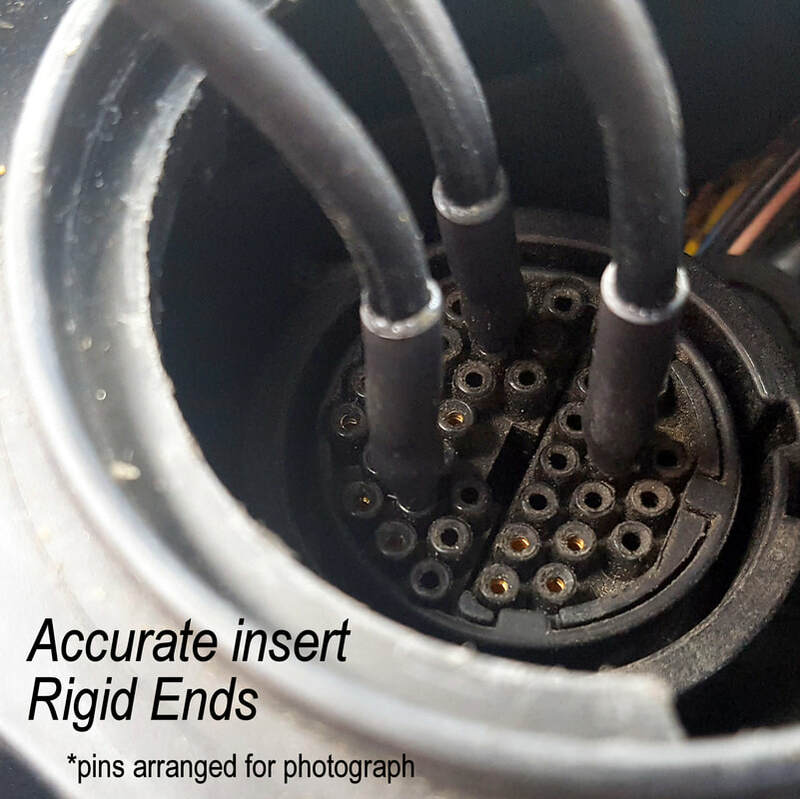 The PDF also contains specific model information and assists you in identifying trouble codes and erase them along with those pesky check engine lights. Proper function is expected but most importantly a tool must look and feel good in your hand. My code reader is compact in design and fits nicely in your shirt pocket or in your skinniest tool drawer. Also included is a really nice storage bag. Sold worldwide and select NAPA auto parts stores. 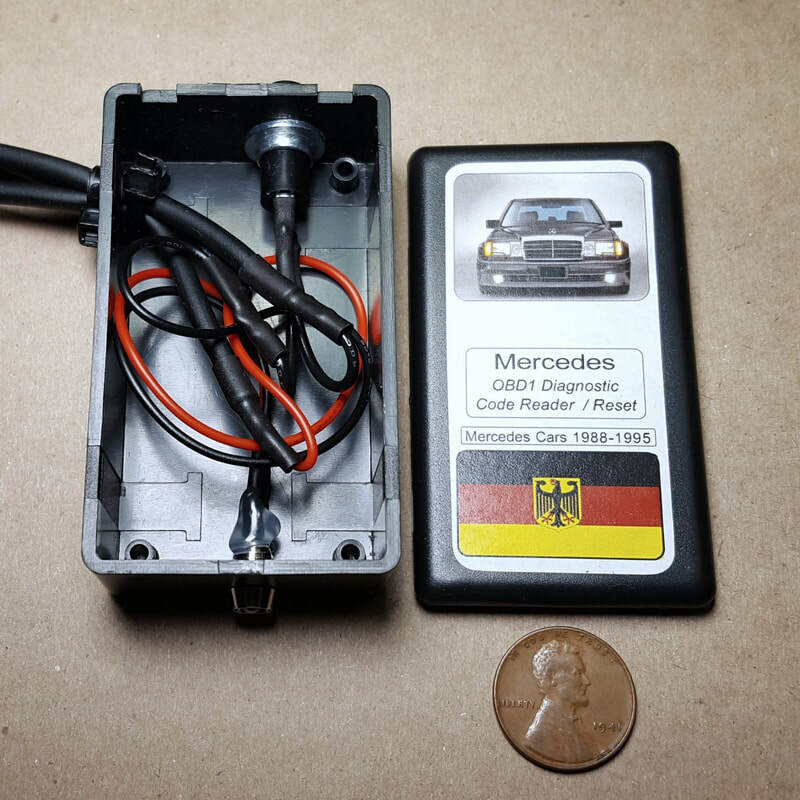 If you own an older Mercedes my OBD1 code reader is a must for the DIY. 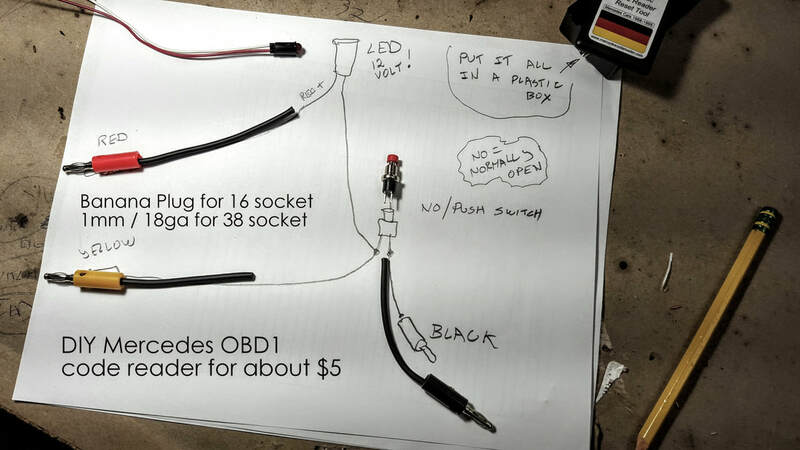 Does NOT work on cars with the round 9 pin socket connection. 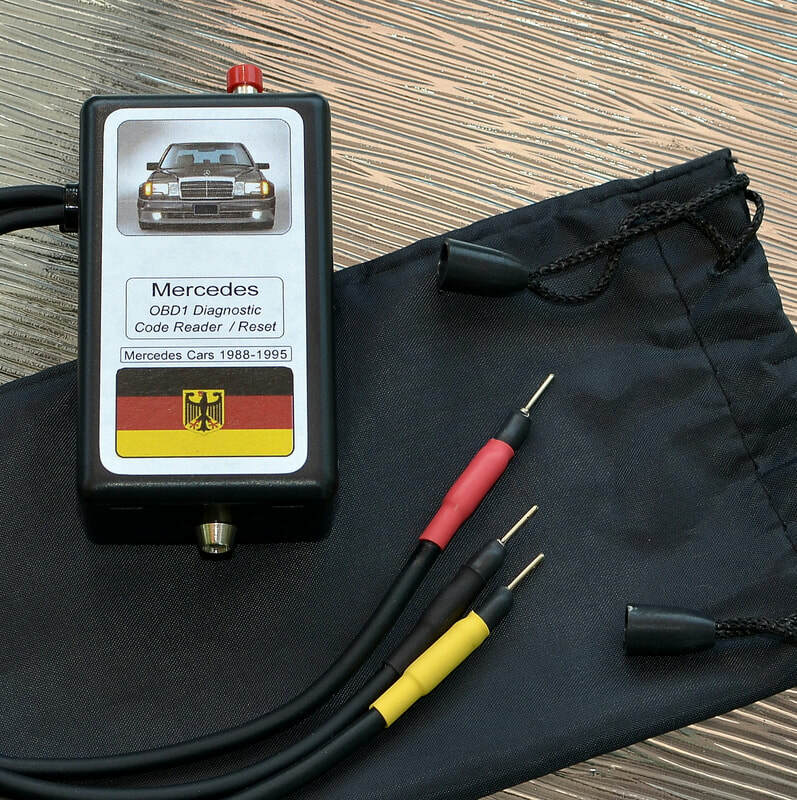 For those cars use a ohm meter and search the Mercedes forums online for socket definitions. Models included are the ​​R129 W140 500E W124 SL600 SL320 SL500 S320 and others. 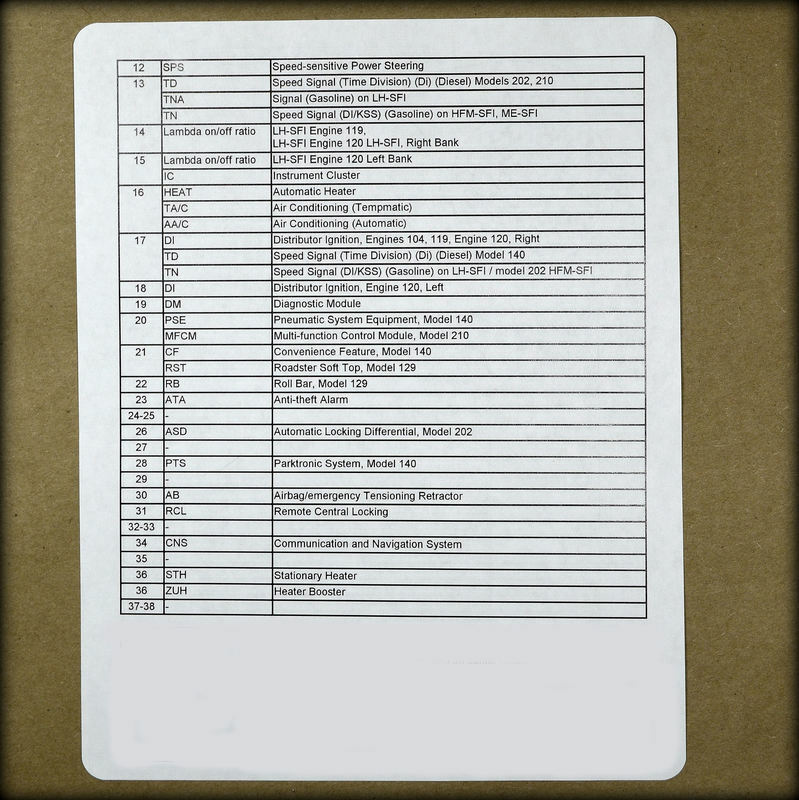 Master PDF code file for ALL 88-95 cars Complete and organized! 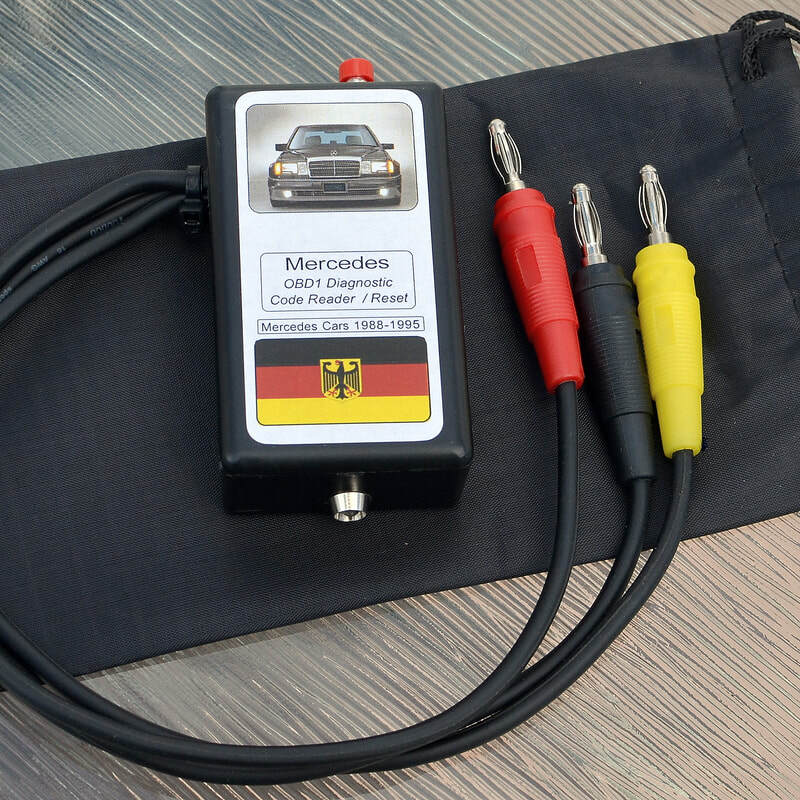 Read and Reset diagnostic fault codes on 1988-1995 Mercedes cars that have the smaller 38 socket diagnostic ports. 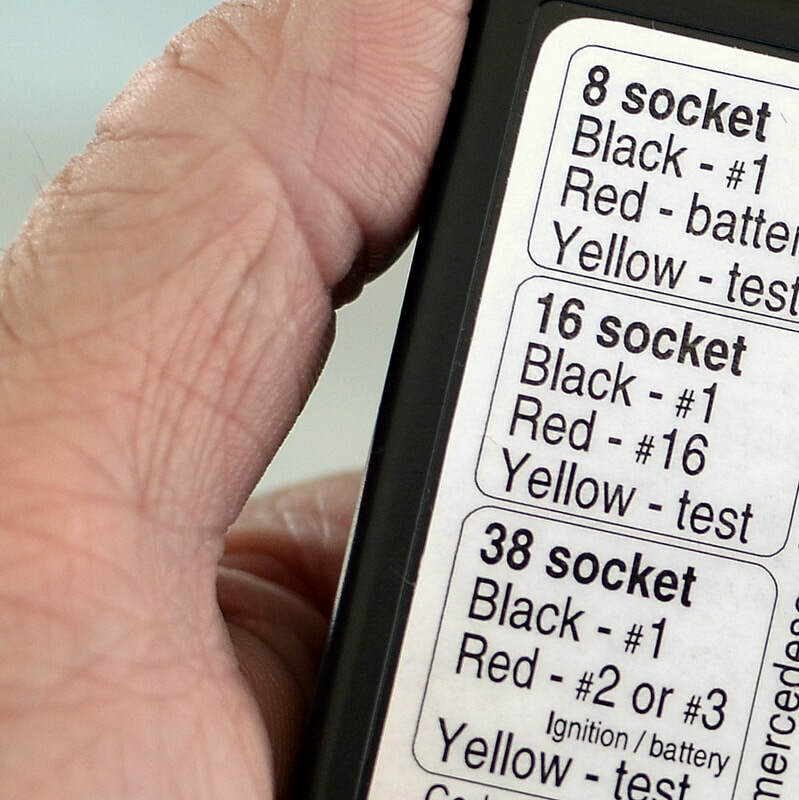 If your car has a little button on the test port you can read and clear your codes without an external code reader. If not, you need to buy my code reader which does the exact same thing as the little button does. 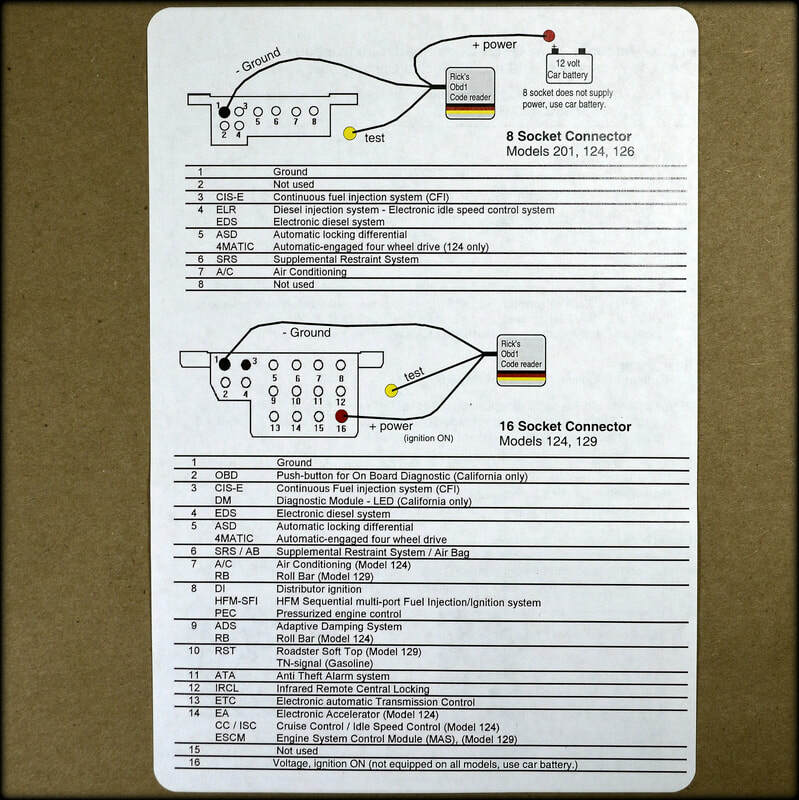 Except my code reader plugs into each individual socket and gives you flash codes for that circuit. 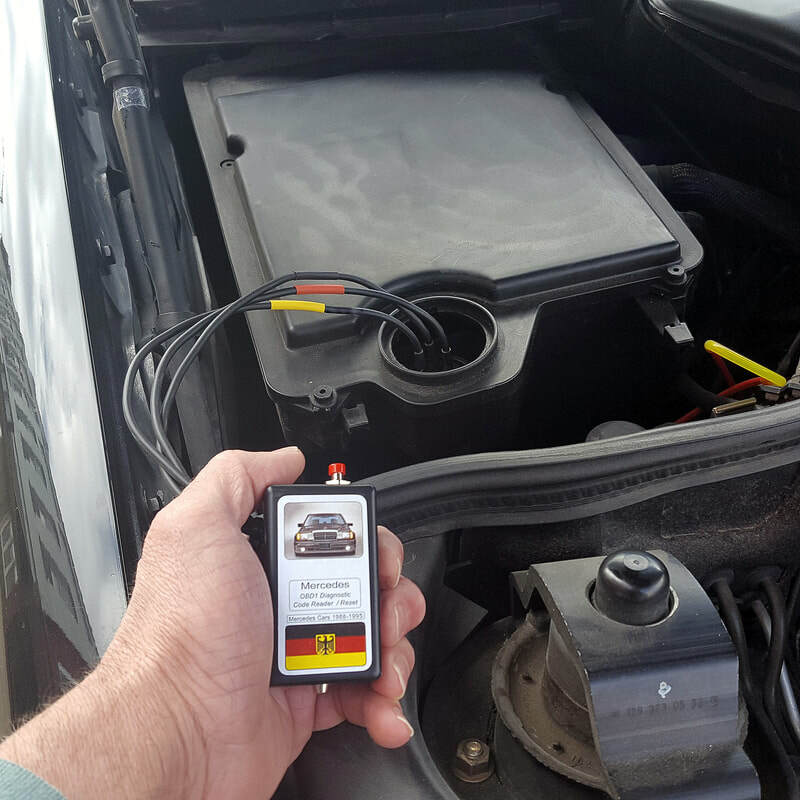 All OBD1 code readers are wired and function the same. Only difference is the ends. Its either banana plug for the 8 and 16 socket and 1mm ends for the 38 socket. 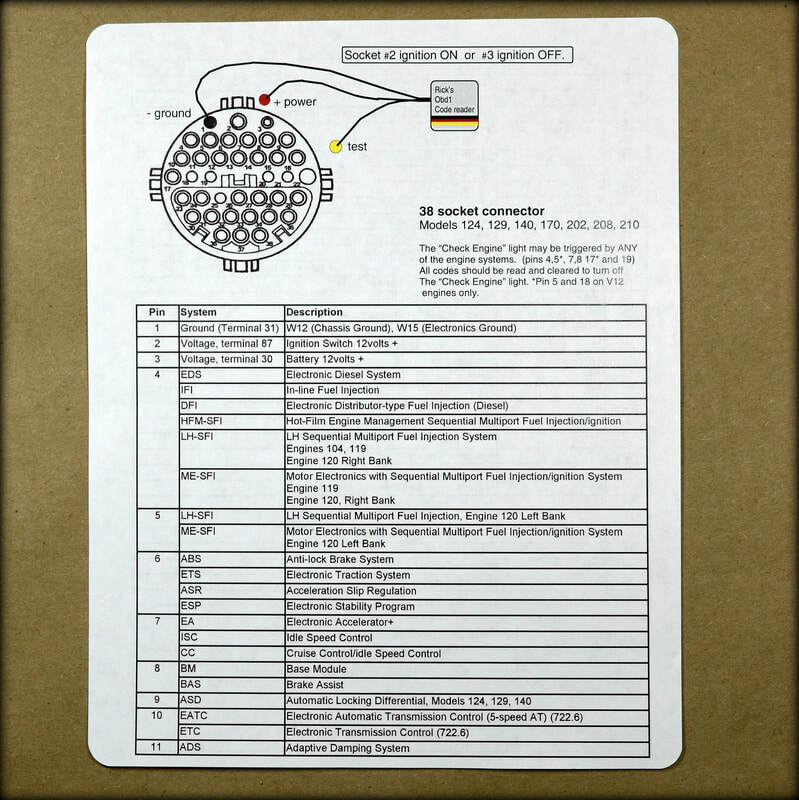 The code file is a PDF text document describing the different codes and their meaning for the OBD1 years 1988 - 1995. The 1988 - 1990 cars actually had very few codes so you might look at the code file and see if issue / system is listed before purchase.